Green Star 3000 Juicer stands out for its wide range of benefits. 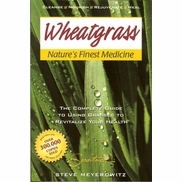 It will enthrall all the taste buds, for the add-on makers it offers along with it. 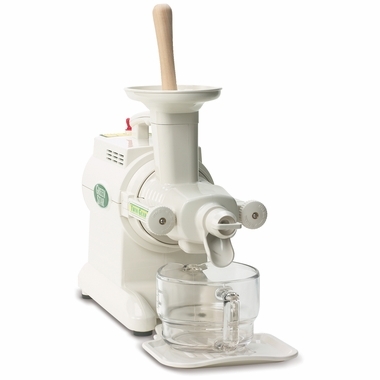 This versatile juicer is an advanced version of Green Star 2000 Juicer that comes along with pasta-maker, mochi-maker and, an accessory rice-cake making blank. Be ready to be served with healthiest juices and satiate your Italian cuisine thrust or dessert love with the accessories offered with this promising juicer. 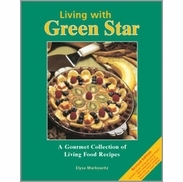 The Green Star 3000 Juicer makes an astounding stand in the market after Green Star 2000 Juicer. 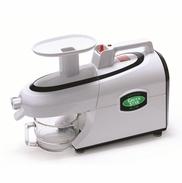 It offers everything that Green Star 2000 Juicer offers plus add-on accessories and attachments. The pasta-maker with the inclusion of pasta screw, pasta guide, and pasta screen, lets you adorn the cap of chef and serve Italian cuisine. The mochi-maker allows you to get deep into your love for dessert for that glutinous rice that will be turned into paste form and shaped into a rice cake. Sounds Delicious, isn't it? Green Star is a reputable brand name that is successful in acing customer satisfaction by delivering world-class products. This juicer by Green Star is yet another product from those successful ranges of products that it offers. The Greenstar 3000 is the kind of juicer that delivers high performance and meets your demands. It features a patented twin-gear technology, which makes it an attractive and the best choice of juicer. Easy clean-up of this juicer lets it to conquer one of the most frustrating job. The Greenstar 3000 juicer maintains its high standard and promising deliverance.